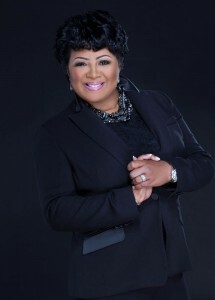 Pastor Chiquita along with her husband, Pastor Lawrence Weathersby, Sr. are the founders and Senior Pastors of Living The Word International church (LTWI). LTWI is a multi-racial, multi-ethnic, non-denominational Christian church located in Slidell, Louisiana. Born and raised in New Orleans, Pastors Lawrence & Chiquita have been married for over thirty-five years. They are the proud parents of Holly W. Bates, Lawrence T. Weathersby, Jr., one son-in-love, Reginald Bates, Sr., and one daughter-in-love, Brandi P. Weathersby. They are the proud grandparents of four beautiful grandchildren: Reginald, Jr., Hailey, Ryan, and Rylan Bates. Pastor Chiquita is affectionately referred to by the LTWI family as “Pastor Quita.” The call on her life is to teach God’s Word illustrating day-to-day, relevant issues, so people on all levels can see, hear and understand how to live victorious lives. The anointing of God on her life is evident. Her teaching ministry is reaching people on various levels of education and economic status, while crossing the lines of age, race and religious denominations. Pastor Quita travels extensively across the country spreading the Gospel of Jesus Christ at conferences, revivals, workshops and retreats. She is the author of NO MORE CHAINS: Freedom From Rejection and Depression God’s Way. In this long awaited book and workbook, Pastor Quita shares her story, opens a discussion about suffering that has long been kept hushed in the Body of Christ, and walks readers through the steps to her healing. She is the founder of Women of the Word Ministry and Daughters of Esther, a life skills mentoring program for young girls. Pastor Quita can be reached by email.